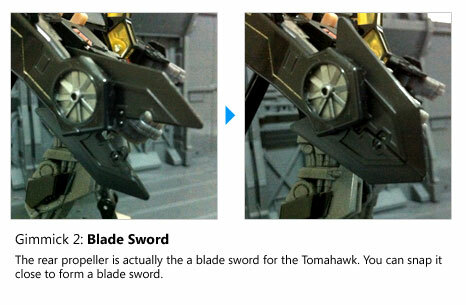 Tomahawk comes previously along with other cool robots such as Hailstorm, Highbrow and Terradrive. 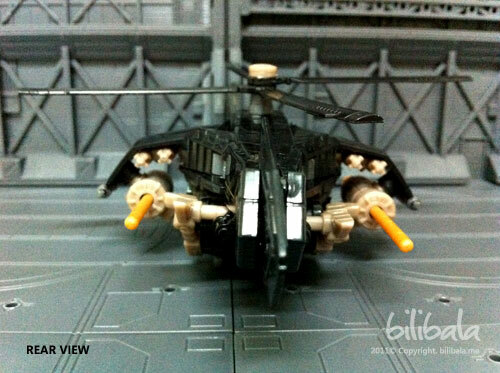 It is the ONLY copter-aka-apache transformer bot that i have in the collection. And it is also 1 of the 2 non-land vehicle autobot (the other one is highbrow) that i have currently which i think it is quite unique indeed to have it in my family. Anyhow, i didnt know much about this guy’s background or any info on him. I am just attracted to the Apache alt mode that he has and it remains unique in my line of car/land vehicle collection. Read on! I bought the Takara Tomy version for Tomahawk as i can’t really find the Hasbro (which i heard that it was sold off long time ago). I am not sure how the Hasbro version’s quality but the TT version is good. 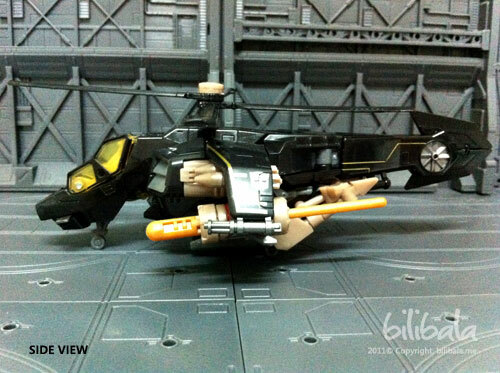 They are using some glossy black plastic part for the rear of the Apache and the coloring is more detail and nicer. Beside that, the joints for the robot are much more stiffer as compared. 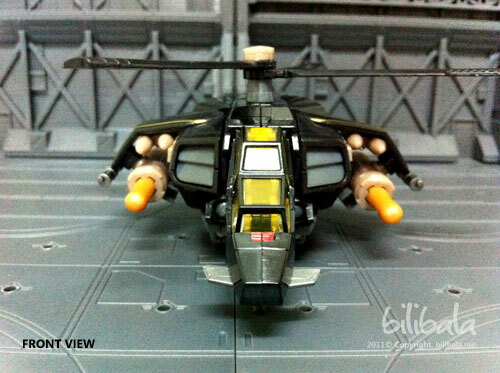 The Apache mode is what attracted me.It has some details such as missiles, sub machine gun and 2 main cannon launchers at the side of the wing. 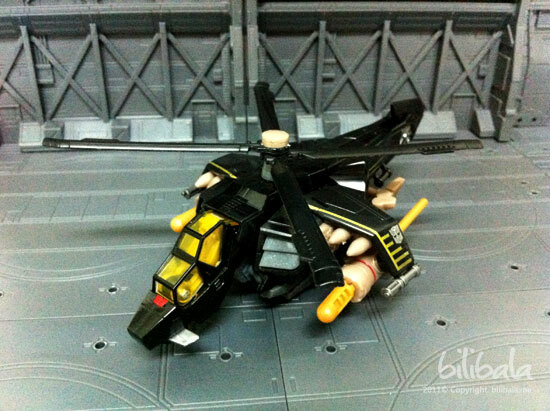 What’s more, it also comes with 3 landing wheels for you to put the copter at rest. The windscreen of the Apache is a yellow translucent plastic which you can peek thru and see the cockpit (which there is no cockpit unfortunately, and no pilot as well) . The Autobot insignia is in silver color which is painted on both side of the wings. 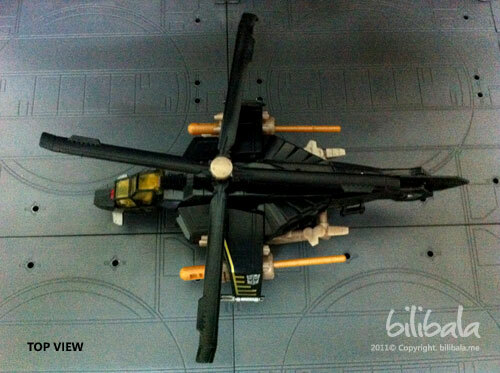 The rotor is actually 2 x 2 which is: there are 4 blades but having 2 blades attached to each other as a “V” shape. They are not individual separated anyhow. And of course, you can turn the propeller to play around with it. 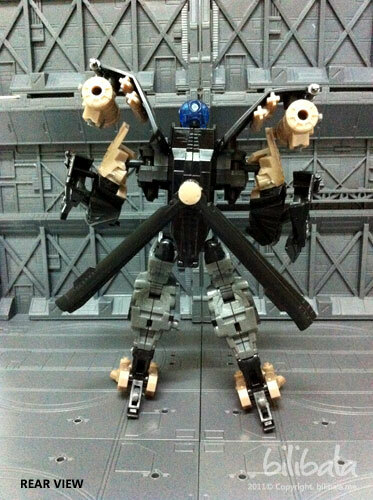 The robot form isn’t as tough looking as the Apache does. It has a pilot-helmet robot head with an autobot look (aka. good guy’s face). 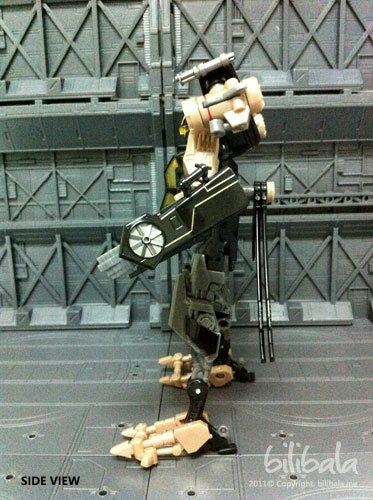 The overall joints articulation are quite a lot and you can do quite number of fancy posing. The transformation is quite intermediate. 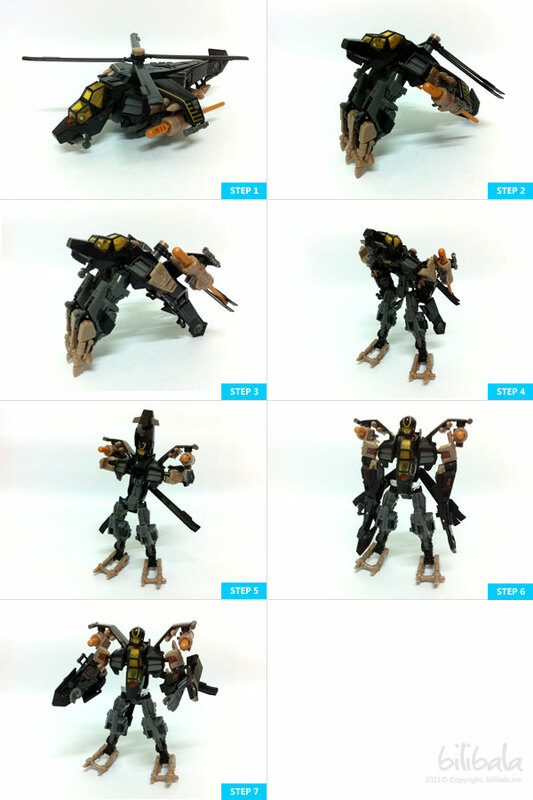 It isn’t really hard to transform as all the process is quite straightforward. 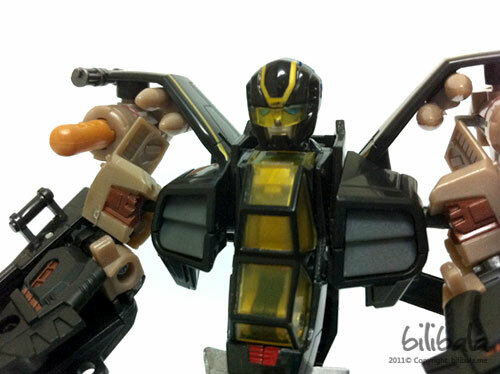 Well, there are only 2 gimmicks that come with this robot. 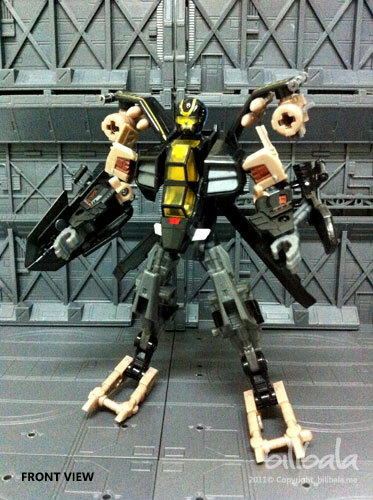 In all, the alt mode and the robot mode is quite cool for a transformer, especially the fact that it is an Apache which the transformation is quite interesting to play with. 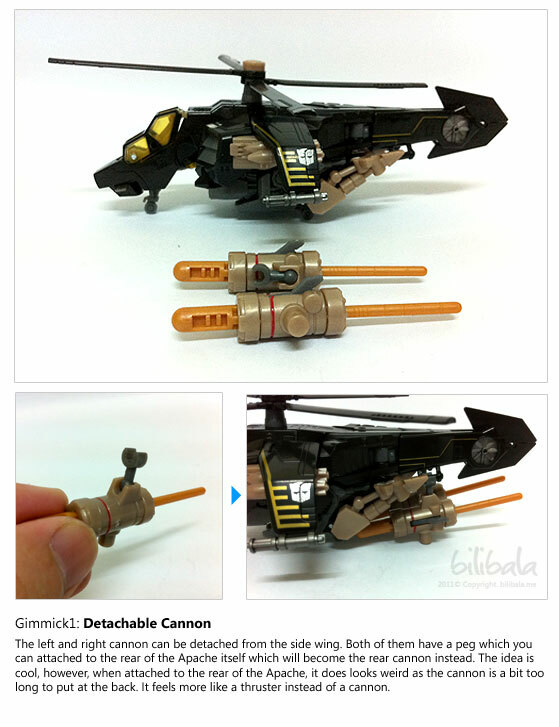 Guess it is quite hot in the market as it is being sold off quite fast for the Hasbro version. I still see a restock on the Takara Tomy version anyhow but the price for it is, of course, more expensive compared to Hasbro. If you are really interested in it, try to get the TT version now or never as i guess Hasbro wont be restocking here in Malaysia. My personal rating? Is 9/10. Well, do you have any thoughts and opinion on this robot? Just share it out. Would really like to know what you all think of it and why it is a hot pick.